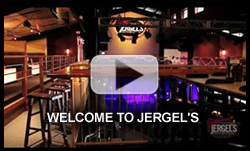 Purchase your show tickets at the Jergel’s Box Office and pay NO SERVICE FEES! To order tickets by phone, call 1-877-987-6487. Tickets by phone incur an additional $1.50 per ticket fee, standard mailing fees are $2.50 per order. 2nd-day mail fee is $17.95 per order. Print-at-home is free. Please note: Any event ticket that is not a Ticketfly ticket will not be granted access to any show. Third party purchases are not recommended and may not allow you entrance into the venue.